Never mind if there’s no winter wonderland in Malaysia. 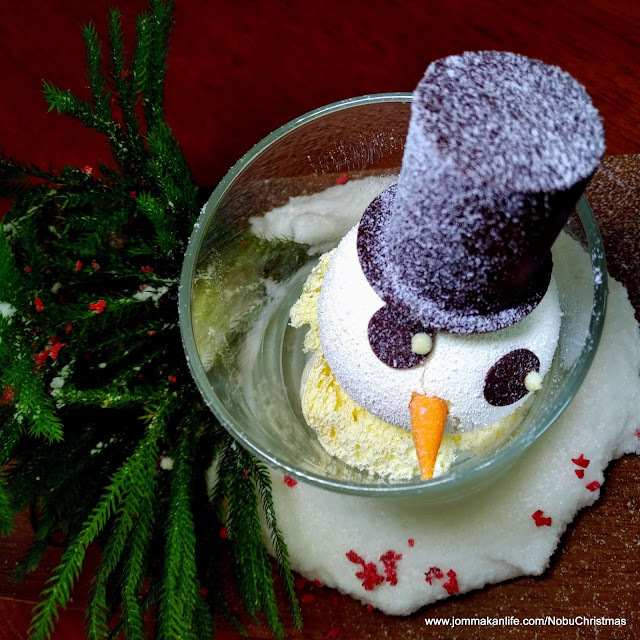 Nobu Kuala Lumpur has rolled out the white carpet with Executive Chef Philip Leong and his talented team conjuring a selection of festive dishes including a whimsical Snowman dessert for this year’s celebratory Christmas & New Year menus. Featured in the Christmas Omakase menu (RM590++ per person) from 22-25 December, the cute ‘snowball’ of Green Tea Panna Cotta with White Chocolate Mousse had us thoroughly charmed. Clumps of Green Tea Sponge complete the superbly delightful and subtly sweet creation. Our festive spirits were suitably raised at the preview with November’s Cocktail of the Month, cheekily named Bloody Goose. A potent concoction of vodka, tequila, blood orange, lemon juice, egg white and vanilla syrup, its sweetish-tangy taste has enough punch to leave us gaily lightheaded. The sneak preview comprised several key dishes curated from both the Christmas and New Year’s festive menus. After devouring delicious deep-fried lotus root and raw salmon/tuna canapés, our palate was feted to Sushi Bar Moriawase — an enticing triumvirate of Toro Tartar, Seafood Harumaki and Junsai Ponzu with Mango Miso. 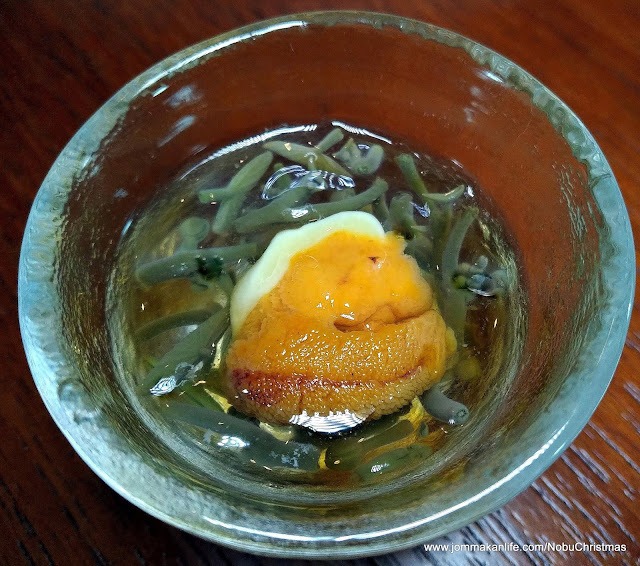 A thoughtful composition of various textures, mouthfeel and flavour profiles, it was the rare Japanese delicacy known as water shield or junsai that caught our imagination. Those tiny leaves and buds’ natural gelatinous mucilage heightened the ethereal creaminess of the attendant sea urchin and mango miso. 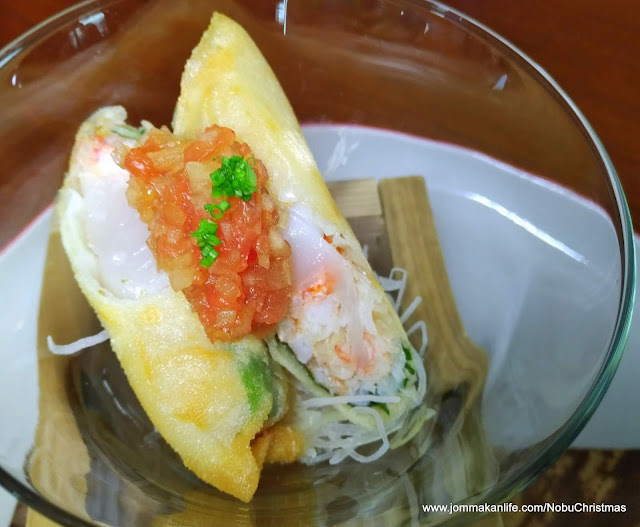 Caviar added a touch of luxe to the tuna tartar whilst the seafood harumaki (Japanese spring roll) proved utterly scrumptious thanks to its exquisite scallop and crab meat filling. Sweet onion salsa lent a fabulous finish to the speciality. 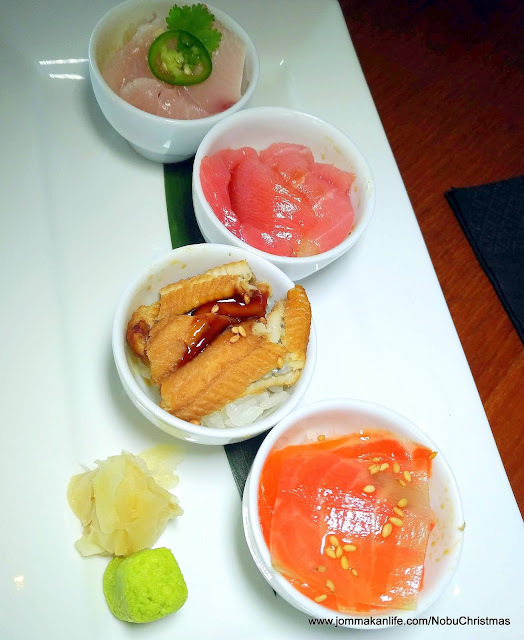 The quartet of Nobu Style Sushi Cup is conceived to make festive feasting fun. 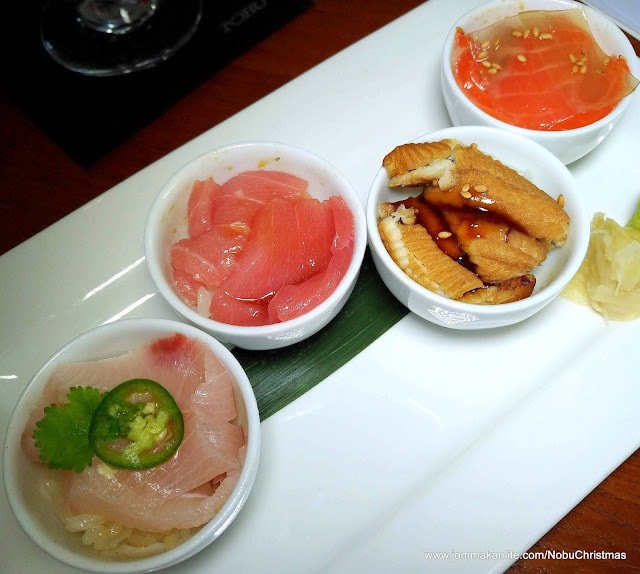 You can simply relish the contents of the four little sushi cups — each topped raw yellowtail, tuna, anago (sea eel) and salmon smeared with housemade sauces —using a teaspoon. Available from 29 December to 1 January 2019, the New Year’s Eve Omakase (RM645++ per person) will include tantalising delights such as Botan Ebi & Kanpachi Endive Salad. 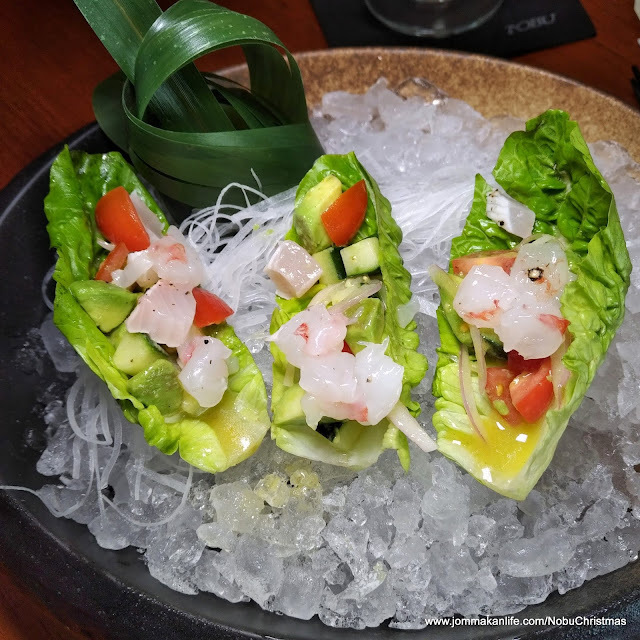 This speciality underscores Nobu’s trademark Japanese-Peruvian approach; an artful textural and flavour melding forged from the original taste of the ingredients used and bright, exuberant flavours like those of lime, onion and tomatoes. 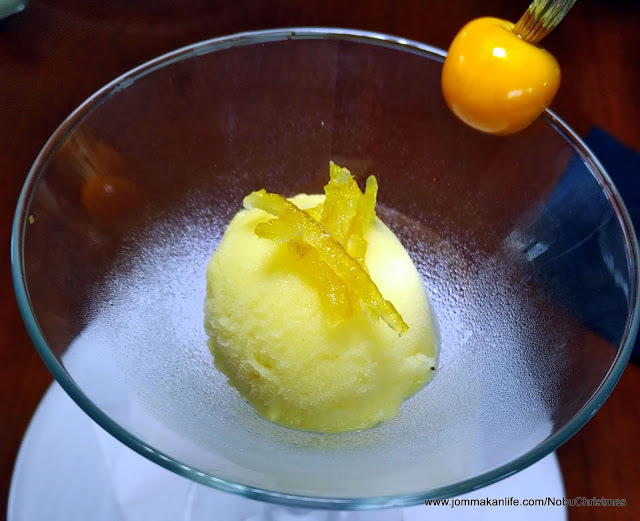 Passionfruit and yuzu sorbet will be served as palate cleanser. The cool treat is most welcomed to refresh our appetite, priming it for the succession of mains to come. 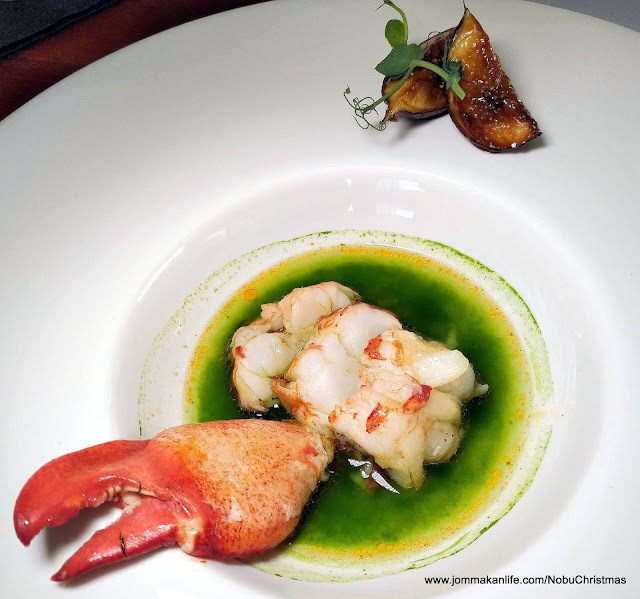 According to Chef Philip Leong, one of the most challenging dishes his team has to contend with is the Butter Poached Lobster with Watercress Broth and Glazed Figs. Austere yet vibrantly coloured, the sweet tender lobster chunks were to-die-for. Caramelised figs added a sensuous dimension and I was most tempted to pick up my plate to slurp up every drop of the delicious, jade-green broth. 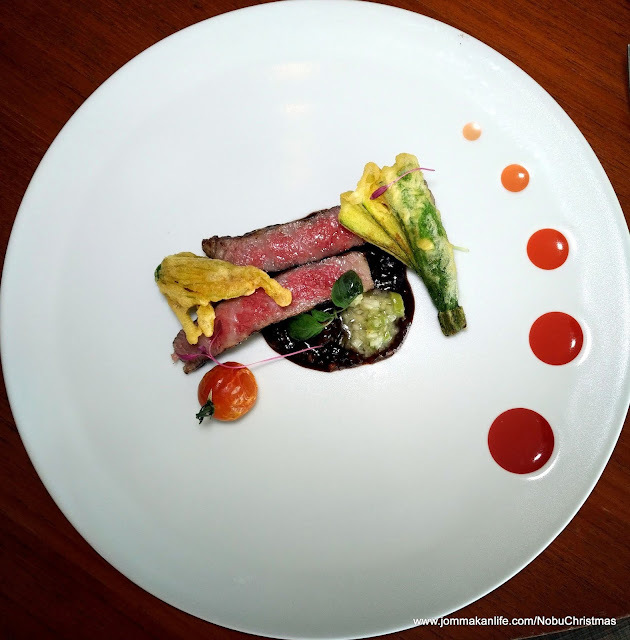 Rich decadence aptly described the Christmas menu main dish of Wagyu with Wasabi Black Bean Glaze and Tempura Zucchini Flower. The voluptuous black bean glaze was redolent with umami overtone; a befitting complement to the luxuriant fatty beef cooked to medium rare doneness. Personally, I was more partial to the Cold Inaniwa with Braised Duck & Bamboo Shoot from the New Year’s Eve menu. 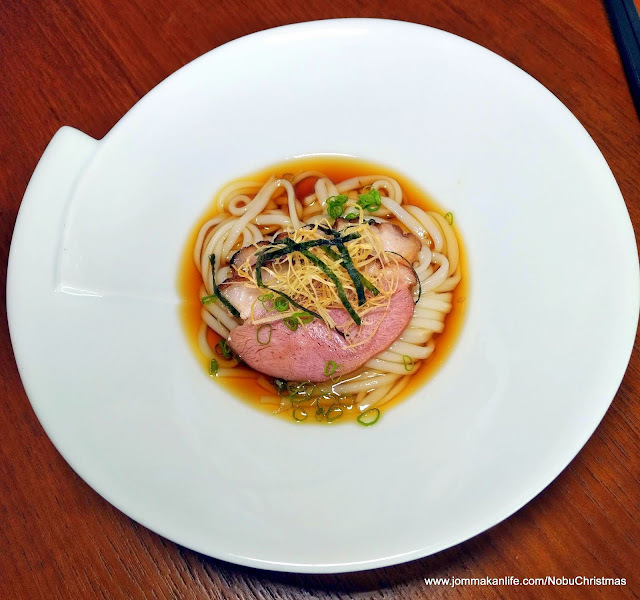 Served in a light savoury sauce, the silky smooth Japanese noodles formed a dream dalliance with the duck and bamboo shoot. 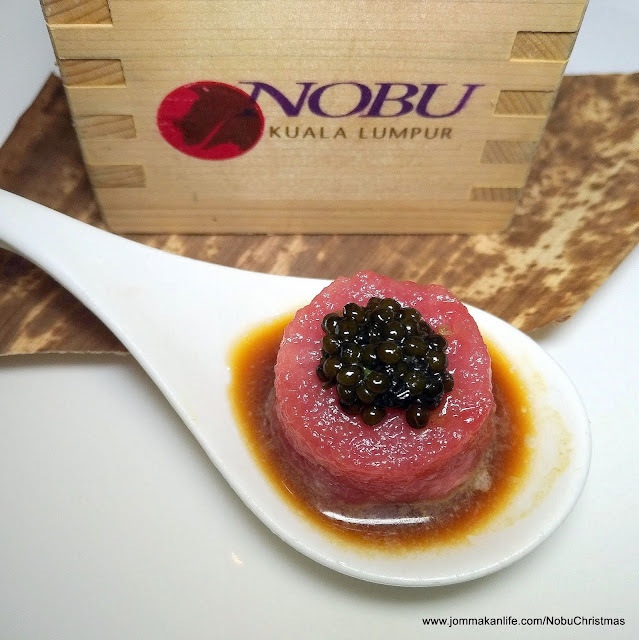 Lots more culinary surprised await at Nobu Kuala Lumpur this festive season. Be sure to make your reservations ahead of time for your share of the gastronomic treats. A 5-course Christmas Omakase Lunch (RM250++ per person) will also be available on 24 & 25 December 2018. 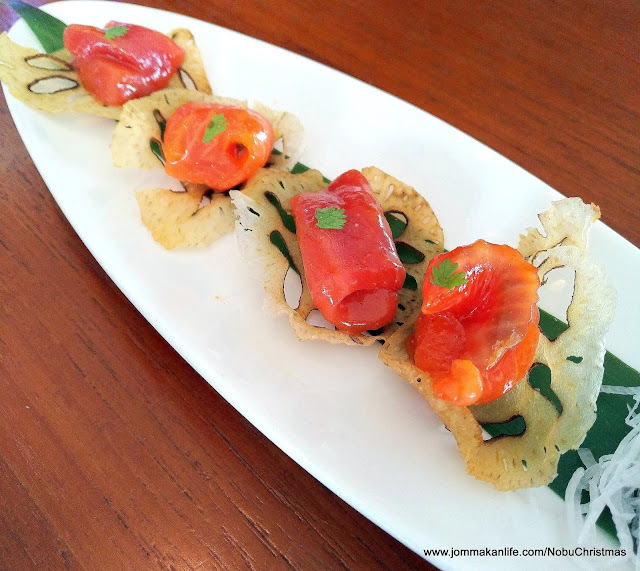 For reservations, please call NOBU KL, tel: 03-2164 5084 or Whatsapp: 019-389 5085. Address: Level 56, Petronas Tower 3, KLCC.